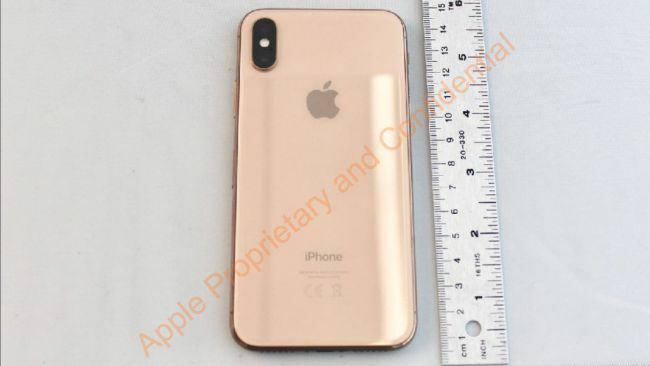 New iPhone XS leaks give us our first official-looking photo (below) of Apple's iPhone for 2018, and it comes in two sizes if you're hoping for an iPhone XS Plus this year. 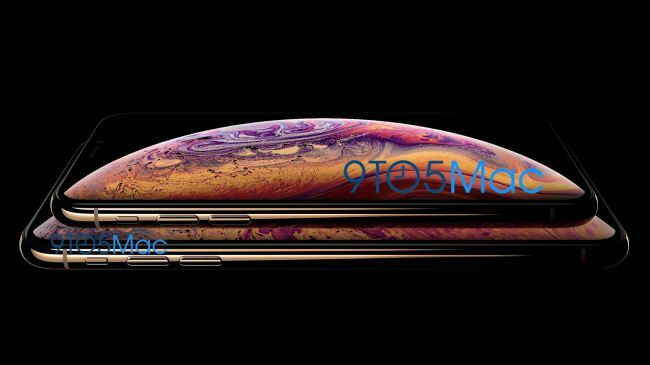 The familiar 5.8-inch iPhone XS and monster-sized 6.5-inch iPhone XS Plus have been rumored for months, but this convincing leak from 9to5Mac is the first time we're seeing the new phones with OLED screens close up. This critical leak comes less than two weeks before Apple is expected to a announce its new smartphones at the Steve Jobs Theater on Wednesday, September 12. We're actually anticipating three new iPhones in 2018: the iPhone XS, iPhone XS Plus, and a 'cheaper' 6.1-inch iPhone with an LCD screen. That last one may simply be called 'iPhone'. Previously, iPhone rumors called these phones the iPhone 11, iPhone 11 Plus, and the cheaper iPhone 9. That's all going to change if the newest report is correct. The iPhone XS and iPhone XS Plus launch and release date will likely happen all within September, and we have some specifics for you – finally. Wednesday, September 12 is when Apple's is poised to announce the iPhone XS at its 'Special Event' for 2018, and there will be a live stream of this launch event. We'll get our first glimpse (and hands-on time) of the phones at the Steve Jobs Theater at Apple Park in San Jose, California – and yes, that's where the iPhone X was launched last year on the same exact date. This launch event date means the actual iPhone XS release date is likely to be Friday, September 21, or Friday, September 28. Apple typically launches new iPhones on a Friday, one to two weeks after CEO Tim Cook unveils everything on stage. We're betting on September 21 if Apple doesn't have inventory issues. Here's another date: September 14. That's when, at midnight in your country, you can expect iPhone XS preorders to begin. This thing will sell out fast, and we predict the new 6.5-inch iPhone XS Plus size will be a big seller. In the US, pre-orders will start at 3am Eastern simply because Apple launches preorders at midnight Pacific, its home time zone. Keep in mind that the iPhone X came out on Friday, November 3, 2017. This is going to cause some people, especially in the US, a problem when trying to upgrade on a year-long plan. However, Apple and carriers may announce a solution on September 12, with incentivized iPhone trade-in options. There're not going to turn down your desire to give them more money over the next year. There have been rumors that not all iPhone 2018 models will ship in September – the cheaper LCD 6.1-inch iPhone may slip to October. The price of this LCD iPhone is said to be around the price of the iPhone 8, which launched at $699 (£699, AU$1,079). 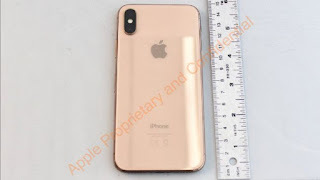 The iPhone XS photo depicts two phones, and both appear to be in the new gold color that's been rumored for several weeks. We're expecting the new iPhones to have three color options: gold, white, and black. Get ready to use your iPhone with two hands again, because the iPhone XS Plus is going to be a monster phone with a 6.5-inch screen. But it won't be too big. Apple has shaved away the needless bezel at the top and bottom (and axed the home button) in the upgrade to the iPhone X. So the screen size is a bit misleading if you're moving from the 5.5-inch iPhone 7 Plus or iPhone 8 Plus – it's not a full inch bigger. In fact, the dimensions we've seen rumored point to an iPhone XS Plus size that's either matching or smaller than the 5.5-inch iPhone 8 Plus. One schematic (above) suggests dimensions of 157.2 x 77.1mm. An older rumor puts the iPhone XS Plus at 158.4 x 78.1 x 7.7mm, only 0.2 inches thicker than the iPhone 8 Plus. The same rumor claims the smaller iPhone XS will be the same size as the iPhone X, except again that it will be slightly thicker. This is thought to be because of a larger rear camera sensor and lens, so expect camera improvements. All three new iPhones are thought to have the A12 chip, a natural upgrade on the A11 Bionic chip that appeared in all three of last year's iPhone models. See the pattern? Apple analyst Ming-Chi Kuo has said the iPhone XI might support faster mobile data speeds and come with a dual-SIM card slot, and 4GB of RAM. That dual-SIM claim is backed up by lines of code found in the upcoming iOS 12 software update, and it means iPhone users could finally be able to benefit from two SIMs in one phone. Kuo has also claimed that Apple will probably exclusively use Intel modems for 2018's models, rather than splitting the order between Intel and Qualcomm. We've also had other hints at the iPhone XI's power from a benchmark, which shows an unnamed iPhone as having 4GB of RAM and a 2.49GHz hexa-core chipset. Apple never details the RAM in its phones, but we could see an upgrade here, too, from 3GB in last year's iPhone to 4GB in the iPhone XS and iPhone XS Plus. The company historically leaves one model behind, so we expect 3GB of RAM on the cheapest iPhone. We won't know this information until someone does a teardown on the release date. Apple may add to the existing internal storage sizes, giving us 64GB, 256GB, and a new 512GB option for the iPhone XS – that's bigger than most laptop solid-state hard drives. The cheaper 6.1-inch iPhone may stop short of that, with 64GB and 256GB sizes. The iPhone XS camera may be a big highlight, but we don't know much about it. Kuo predicts that both sizes will have a dual-lens rear camera, while the cheaper iPhone (the one with an LCD screen) will be the one with a single-lens rear camera. Photos from the dual-lens camera are expected to be 12MP, with one telephoto lens and one normal lens, both with optical image stabilization (no change here). The difference may come from the backend software. Samsung, Google, and other Android phone makers have given us cameras that use machine learning to enhance photos, and Apple's iPhone X camera has fallen behind in our tests, especially in low-light situations. On the front, all of the new iPhones are undoubtedly going to sport a TrueDepth camera – we know that because none of them will have a Touch ID home button. The last iPhones to use Touch ID will be the iPhone 8 and iPhone 8 Plus. We could see more depth-sensing features in the front-facing selfie camera, with a recent Apple patent pointing to a single-lens camera system that has dual-lens-like features. The question is whether this tech will be ready for the iPhone 2018 or iPhone 2019. On September 12, in addition to seeing the iPhone XS and iPhone XS Plus, we're due to find out the official iOS 12 release date. Both phones will run this software. We know all about iOS 12 thanks to WWDC 2018, but Apple almost always holds onto software surprises – usually ones that have to do with hardware and sensors that would tip off observers about new iPhone models in the works (Animoji was a secret until the iPhone X launch event). With the introduction of the iPhone XS Plus we could see some exclusive changes that give the larger 6.5-inch phone tablet-like powers. There are some large-screen app interfaces reserved for the iPad, namely Mail and Messages, that give you more information on the screen (like messages threads). 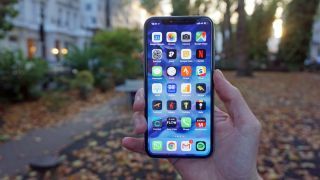 Your next iPhone may have longer battery life, especially if you opt for the larger 6.5-inch iPhone XS Plus. Ming-Chi Kuo says the battery in that phone will be 25% bigger than the one in the iPhone X. That puts the 6.5-inch iPhone XS battery capacity at 3,300mAh or 3,400mAh, a sizable increase over the iPhone X (which sits at just 2,716mAh). The 5.8-inch iPhone XS may see a smaller increase of 10%. Charging your iPhone may be easier too, as iPhone XS leaks suggest Apple will include a fast charger in the box. Right now, this is a separate purchase (and we've been using our MacBook Pro charger with a Lightning-to-USB-C cable). We've now heard that more than once, but the latest reports suggest you won't be able to buy it separately – so if you want Apple's new fast charger you might have to buy a new iPhone to get it.